Blue whales have long been known to frequent the waters around New Zealand but now scientists have discovered that the whales living between the North and South islands appear to be a genetically distinct population. A survey in 2014 by a team from the Marine Mammal Institute at Oregon State University identified around 50 blue whales in the South Taranaki Bight but it was unclear if these whales were just seasonal visitors or might be there on a more permanent basis. Over the next few years, the team revisited the area and built up a picture of blue whale activity in the area. Using hydrophones they heard blue whale sounds almost every recording day in 2016 in the Bight. 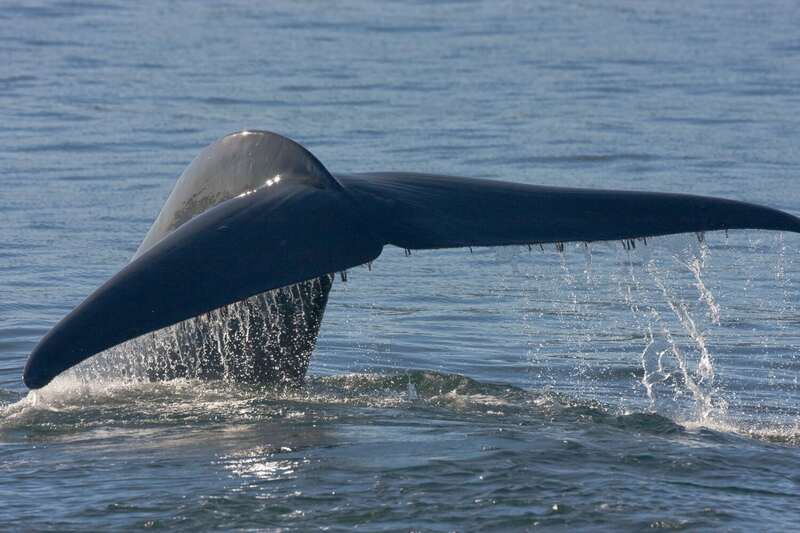 They were able to identify that the sounds were only made by these whales and none from other blue whale populations known to inhabit waters in the Southern Hemisphere. Further investigation enabled them to discover that the whales, which grow to around 22m, are also genetically distinct. The researchers currently estimate that there are around 718 whales living here but further research is needed to obtain a more accurate population figure. Working with local authorities, there is also a need to draw up conservation plans as the waters in this part of New Zealand are used for industrial activities such as oil and gas exploration and extraction. Documentation of a New Zealand blue whale population based on multiple lines of evidence. Endang Species Res 36:27-40. Keep up-to-date about our work and the latest news from the world of whales and dolphins. You can unsubscribe at any time.